On Monday 22nd October 2018 at 11. 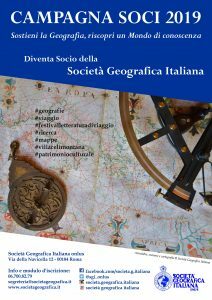 00 a. m., will be held the presentation of the XIII edition of the Report of the Italian Geographic Society, entitled “Per una geopolitica delle migrazioni. 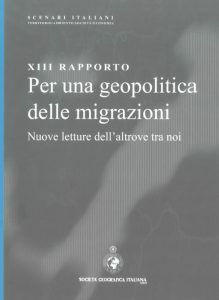 Nuove letture dell’altrove tra noi” (For a geopolitics of migrations. New readings from elsewhere between us). The President of the Chamber of Deputies, Roberto Fico, and the President of the Sodality, Filippo Bencardino, will greet you. The speakers will be Monica Meini, Franco Salvatori, Laura Cassi, Luigi Frudà and Gianfranco Lizza. He will coordinate Prof. Ernesto Mazzetti. In order to participate you must send a communication to servizi@societageografica. it, indicating your name and surname, no later than October 18, 2018. You can also download the invitation.